The concept behind Amigos bakery is simple: It’s a destination for classic cakes, cookies and pastries. What makes the place unique is that it specializes in Mexican baked goods. Among the most popular Mexican baked goods they offer are the Tres Leches cake and Pan Mexicano. The Tres Leches cake is (as its name suggests) composed of three different dairy products - regular milk, condensed milk and evaporated milk. The base is a simple sponge that is filled with different flavoring. The normal fillings are strawberries, peaches and nuts. To finish it off, the piece is topped with whipped cream. Clients can choose the precise outer decoration as well as their favorite fillings. The Pan Mexicano is made of a mix of butter, flour, egg and a specific flavor. The most traditional options are the “conchas” (pieces of bread shaped like shells). These are made of a sweet bread base and covered in with a crunchy topping. The topping is what gives the bread its shell-like appearance as well as its distinct flavor. Common flavors include chocolate and strawberry. 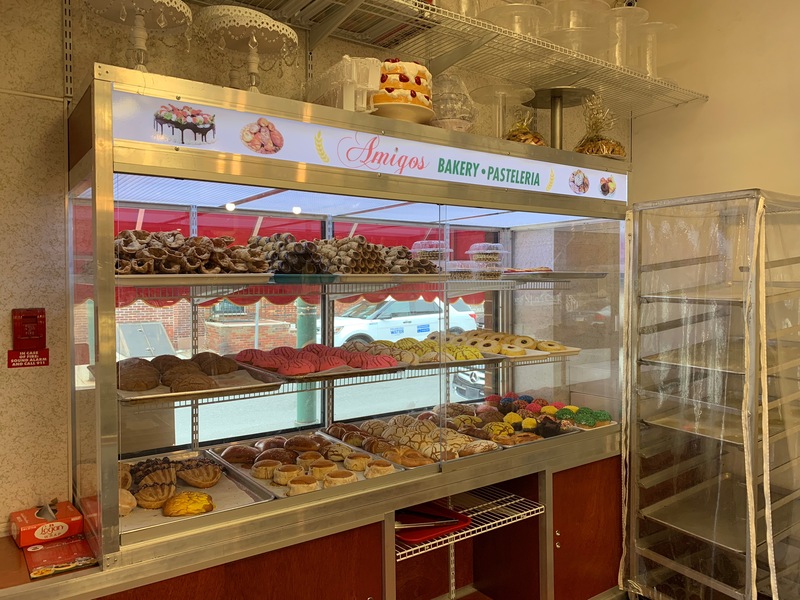 Although Amigos Bakery specializes in these Mexican options, they also offer a wide variety of other baked goods. Among these are Italian rum cake, tiramisu, cheesecake, butter cookies and vanilla and chocolate pound cake to just name a few. They also serve hot coffee. “We will make whatever the customer orders,” said Sandoval. Depending on the specific month and holidays around that time, they offer special bakes. For King’s Day in January, they make the traditional Rosca de Reyes - an oval-shaped cake covered in different dried and candied fruits. For Valentine’s Day, they produce heart-shaped cakes. “Each month there’s always a different celebration,” said Sandoval. The bakery is now in its fifth year of operation and is still going strong. Prior to starting the bakery, Sandoval had spent 12 years working in an Italian bakery in South Philadelphia. It was there he learned how to bake as well as operate an establishment. He is originally from Puebla, Mexico, where he had worked selling fruit at a fruit center. 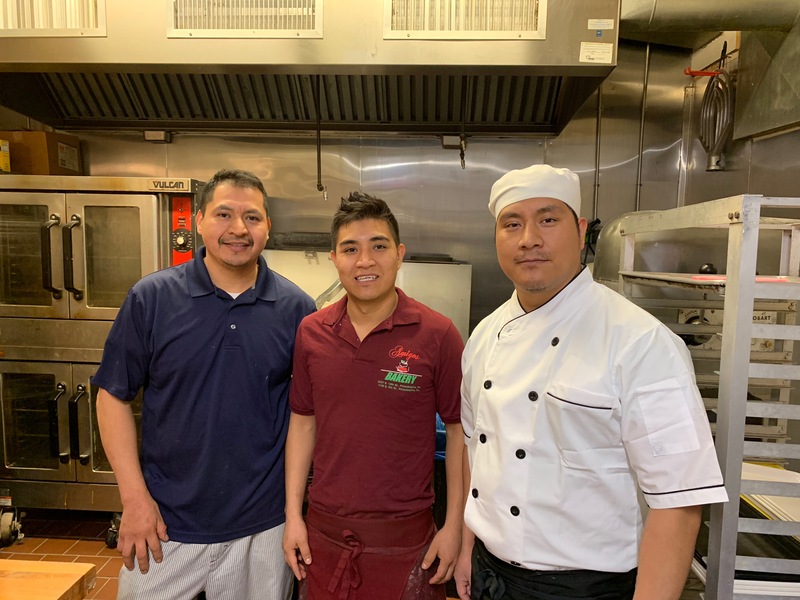 He chose the name “Amigos” for his bakery after finding a friendly environment in his adopted home of Philadelphia. “In Philadelphia you are surrounded by friends. Everyone is your friend,” said Sandoval. Going forward, he hopes to expand the business with a larger space to accommodate more customers. For more information about Amigos Bakery check out their website amigosbakeryphilly.com, their Facebook or their Instagram @amigosbakery. Address: 2327 S 12st Philadelphia, PA 19148. Hours: 8am to 9pm everyday. Prices: $20 for an entire cake, $4-5 for a slice, $1 for a cookie.